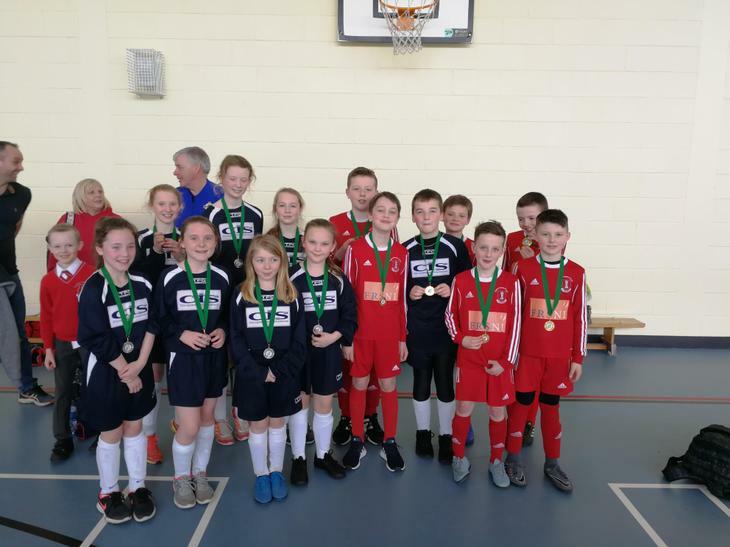 On Tuesday 12th March 2019, both the boys and girls took part in the Futsal regional qualifiers for the South Eastern area. 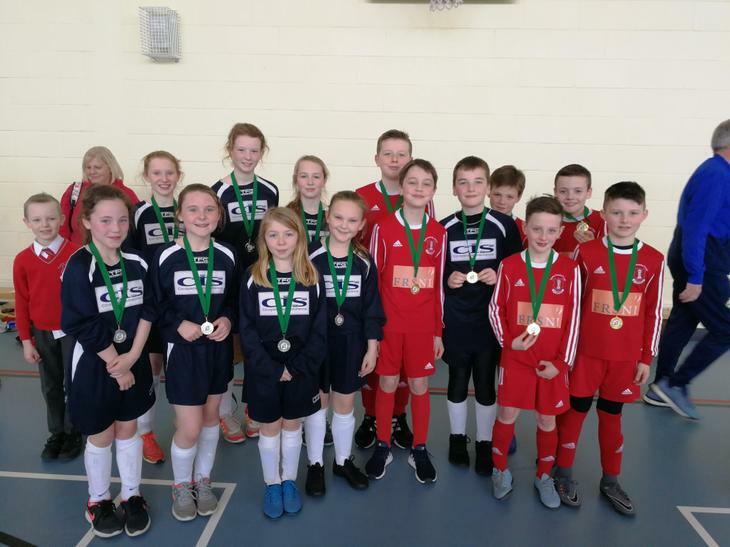 This took place at Bangor Academy with 8 boys teams and 8 girls teams competing. 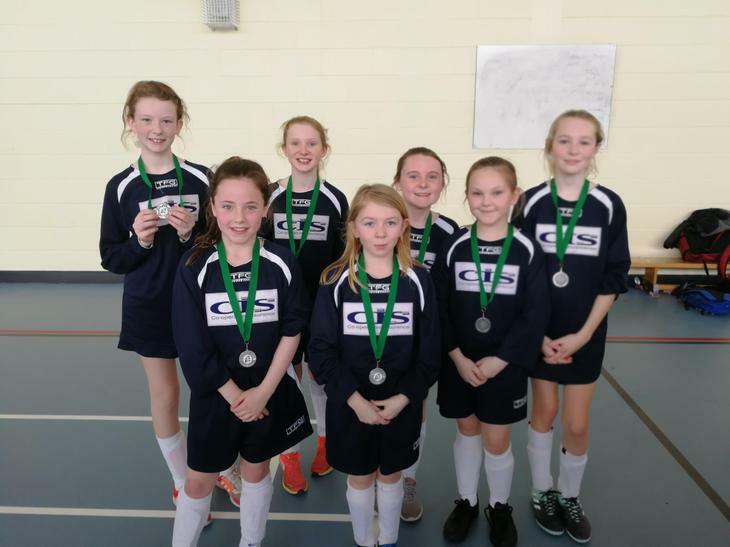 The girls team were runners up to Ballymagee and received a silver medal, they were very unlucky not to win the final and were narrowly beaten by a one goal margin. 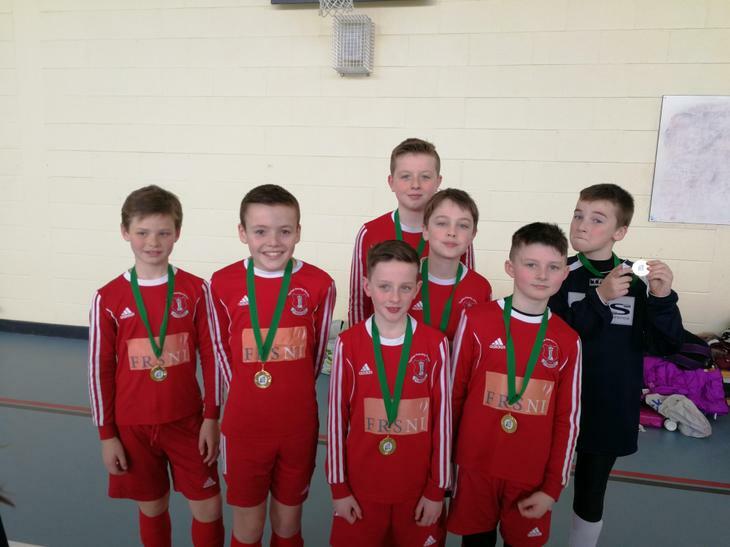 The boys team managed to go one better and won the tournament with an excellent 3.0 victory over Kilmaine in the final. The boys will now go on to represent the region in the National Futsal Finals on Thursday 11th April 2019 in the Antrim Forum. The boys football team took part in the Priory Cup. This tournament is one of the highlights of the football calendar. 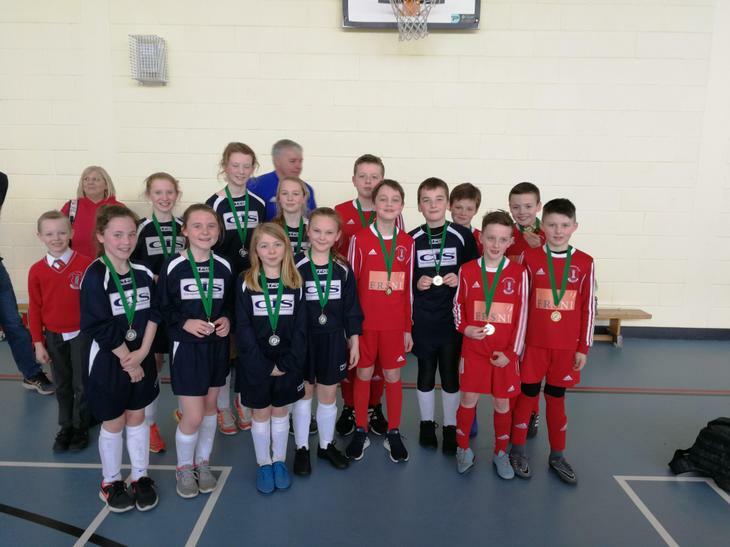 The team performed very well beating Ballyholme PS and Holywood PS in the group stages but wee sadly beaten by St Josephs PS and Standtown PS. As a result the team progressed into the semi final of the C-competition against Crawfordsburn. This was a very tight match with both teams unable to be separated at full time. The match went to penalties and sadly the boys narrowly missed out. A fantastic effort by the team, giving 100% in every match.